Room 111 is one of two identical rooms at Birchwood Fields Learning Center, providing space for 54 professionals. 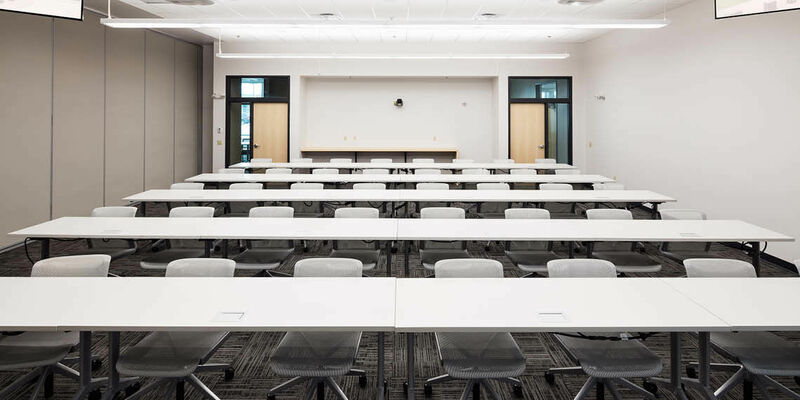 Room 111 can be booked by itself or packaged together with its twin, Room 112, to provide space for 100-120 professionals. Room 111 features comfortable furnishings and wireless connectivity. 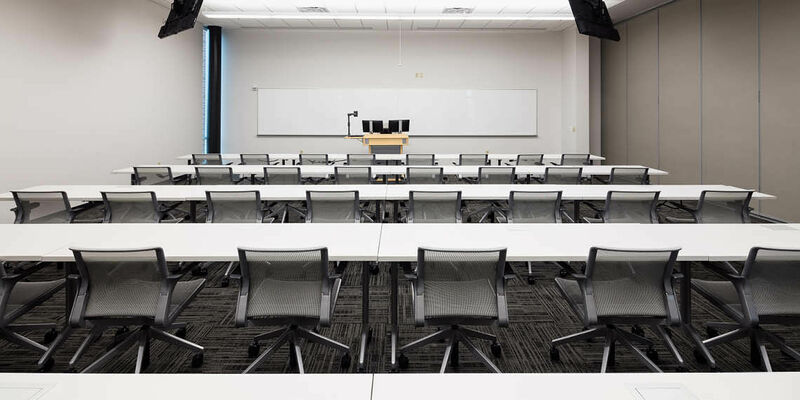 This room is equipped with audio/visual technology, including a variety microphone options for the presenter, ceiling microphones for participants, dual projection, full podium controls and ample whiteboard space. Coffee, tea and catering are available upon request to take your event to the next level.